When I first got the idea to write a novel back in 2006 I had no idea what I was getting myself into! I was a Certified Public Accountant and I managed accounting departments but I had always wanted to write, ever since childhood, and I had a story idea and I was finally ready to tackle writing it. It was difficult at first but I had a writing partner and we scheduled weekly writing dates and helped each other work through our ideas. I began reading books about the writing craft and I subscribed to Writers Digest and Publishers Weekly. I was enthusiastic. But my enthusiasm faded. Fear kicked in often and each time it did I gave up on my project. I was working full time so my writing was only done on nights and weekends and it was slow going. I started thinking I was nuts to be spending all of my free time writing something that people might never even want to read. And I felt like I would never finish the book. But I had brief periods of intense inspiration that kept me going. And thank God I kept at it! I made it to the finish line and published my baby in April and I've gotten really positive feedback on it too. I wish I had known what I know now way back then because I would have pushed past the fear and finished my book much, much quicker. 20/20 hindsight, right? Well, it may be a little late for me but hopefully I can help someone out there right now who like me, wants to write a book but is too scared to start or finish. #1 You MUST establish an author platform! 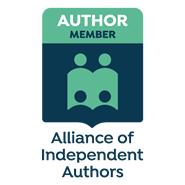 I heard over and over again that I needed an author platform but I ignored the advice. Now that I have just published my first book, I totally understand why everyone says you need an author platform. My sales are slow. No one knows about me. There are millions of books out there for people to choose from, hundreds more new books come out every day. You have to get attention in order to get sales. No one will ever know about you or your amazing book if you are not gathering followers on social media and/or with a blog. You might hate to hear this as much as I did, but I think you'll grow to enjoy it as much as I have! Start professional accounts on social media - I use Facebook, Twitter, Pinterest and Instagram. I'm late to the game because I started doing this the month before my book was published. I recommend you start much earlier - at least 6 months to a year before your book is published. Have fun, follow writers you like and post quality helpful content. Build up momentum for your book too but don't make that your only focus. Make friends. Help people. You will grow your following slowly but surely! #2 PUSH PAST THE FEAR! I wish I had pushed past my fear a long time ago. I was living in Hawaii as I wrote my novel. I spent a lot of my time outdoors at the beach or hiking or rock climbing. It wasn't terribly important to me that I publish the book until we moved to Portland at the end of 2015. I felt lost and sad. I missed Hawaii and my life and friends there. The only thing I could think of doing to help me get out of the funk I was in was to work on publishing my novel. I finally pushed past my fear and made it happen but I was still fearful right up until the day after I published. The week before publishing I had panic attacks. My fearful ego kept telling me to back out, not go through with publishing. Throw the stupid book away. People were going to laugh at me. Was I nuts? I was exposing myself to the world with my novel. Why would I do that? A fellow writer recently said that publishing your book is like getting naked in front of all your friends. That pretty much describes it perfectly! It's scary as hell! Push through that fear though, do not let it stop you! The only thing to fear is truly fear itself! Fear stops progress. Fear keeps you stuck. Don't let it win! Feel the fear and keep on going anyway. You'll be glad you did. It's pretty great on the other side! #3 Just Keep Writing You'll have good days and bad days. You'll feel inspired sometimes and you'll be at a total loss for what to write other times. The key is to keep the momentum going and write every day no matter what. Write your frustrations out if nothing else. Get a writing partner or join a writing group. Google writing groups in your area - there are writing groups everywhere. Get online and join writing groups in social media. I have found that most writers offer amazing support. Some of the groups I belong to have daily or weekly writing goals. We all post our progress every day or every week and we encourage each other. 500 words a day is a good goal. And don't try to edit as you go. Editing disrupts the flow. I kept going back and editing as I wrote. It took me seven years to finish. Don't be like me! Wait until you are done getting all of your ideas out and then go back to the beginning to edit. #4 Start Thinking Like a Marketer NOW If you want your book to be read by others (and hopefully make a little money) then you need to start thinking about how to market it as you write it. Write up a really catchy book description, something that grabs people and makes them feel the need to read your book. Play around with it. Think about the genre your book fits into and think up the main key words for your book. Google your keywords and put your key words into Amazon's search engine and see what comes up. Put those key words into your title, your subtitle, and your description if you can. Use those key words in your social media posts. Analyze other books in your genre, especially the top performing books. What are they doing right? Learn from them. #5 Spend a Little Money to Make a Little Money With all the books available to choose from today the two most important things you need to do to make your book stand out are to have an amazing cover that catches people's attention and polish and perfect your writing. You can make your own cover for very little money on Canva or you can pay someone on Fiverr to do it for very little money but unless you have an eye for design and some experience then you are taking a big risk. If your cover doesn't look great people will pass it by. You only have a few seconds to get people interested in your book when they see the cover. Make them say wow! There are a lot of professional book cover designers to choose from online. Same thing with editing. No one can edit their own work. We are too close to our babies to see things that may be off. And your friends and family are probably not editors (and even if they are editors you want someone impartial to edit your book for you, trust me!) Other writers are not editors either. I've learned this the hard way. I paid for two editors for my novel because the first one, a writer, was really unimpressive. Professional editors can fix things in your book that no one else can. Plain and simple. You do not want to get bad reviews from readers who complain about things like grammar and typos. That makes you look like you are not a professional. Be a professional. If you're going to write a book, give it 110% and make it the absolute best it can be! SEO article writing service providers were able to compromise on webpage contents and their quality by manipulating and taking advantage of certain search engine patterns before Google introduced Panda. The introduction of Panda has changed this completely.